Ready for Cart2Cart news worth celebrating? We cannot wait to share it with you! From this point on our service supports Palundu import. Are you ready for a jolt? Go in the new season with new powers. Cart2Cart won’t stop to perform a continuous enhancement of functionality and offers more possibilities. Since customers’ taste is becoming more and more expecting and demands are mounting at incredible speed, and we have to set high goals and nail every one. If you’re interested in Palundu import, or you’re not satisfied with your current platform, and looking for a new solution, keep reading and find your one-stop solution. 100% of an actual store uptime not to damage your sales and your buyers won’t recognise that something unusual is going on right now. Palundu Import: What Entities Can You Migrate? 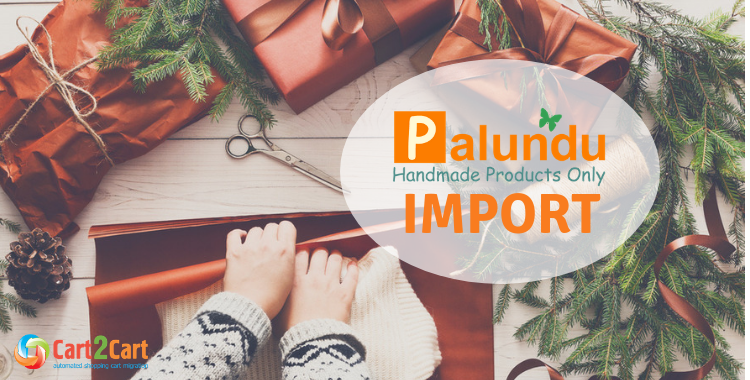 Cart2Cart is excited to announce - Palundu import is no longer a problem for online retailers, store owners and developers all around the world. This free solution will benefit eCommerce business of every kind, size, or type and open new horizons for your online shop. Start Free Demo Migration, make sure that the result worths the hassle, wait for a while and gain new powers for work! Keep in touch!